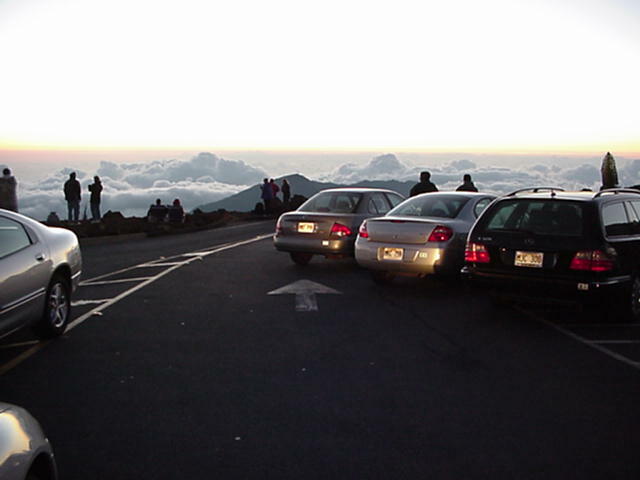 Beginning on Feb. 1, 2017, visitors in personal or rental vehicles wishing to view sunrise at Haleakalā National Park will need to make sunrise viewing reservations ahead of time at recreation.gov. Park representatives say the online reservation system is being implemented to ensure visitor and employee safety, protect natural and cultural resources, and provide a quality visitor experience at the summit during sunrise hours between 3 a.m. and 7 a.m. The reservation system will go live on Dec. 1, 2016 and will cost $1.50 per car. Before Feb. 1, 2017, sunrise viewing parking spaces will continue to be available without advanced reservation, on a first-come, first-served basis. The one-day sunrise reservation will not be sold at the park but is available online, up to 60 days ahead of the date of the sunrise visit. The reservation is only available via recreation.gov and cannot be transferred. To enter the Summit District between 3 a.m. and 7 a.m., the reservation holder must be present and show both the one-day sunrise reservation receipt (for that day) and a photo ID. Due to limited parking, visitors without a sunrise viewing reservation will have to wait until after 7 a.m. to enter the park. There is no refund or exchange of the reservation due to inclement weather or change of plans. 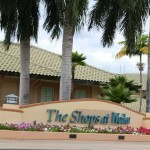 Park representatives note that there is no change to the National Park Service’s current policy regarding kanaka maoli who wish to conduct traditional practices in the park. There is also no change to the park’s current Commercial Use Authorization policy regarding sunrise tours. 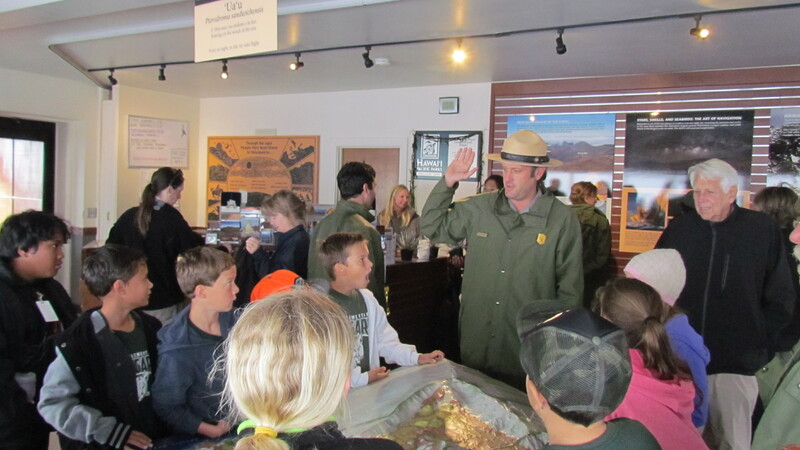 The park entrance fee is separate and payable by credit card or park pass on the day of visit. The entrance fee is good for three days, with receipt. The four summit parking lots serving sunrise viewing hold approximately 150 vehicles. 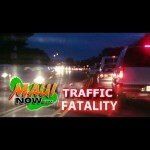 Vehicles regularly exceed 300 per sunrise. When vehicles outnumber parking spaces, park rangers have reported problems with visitors park on road shoulders or in the upbound lane of Crater Road. 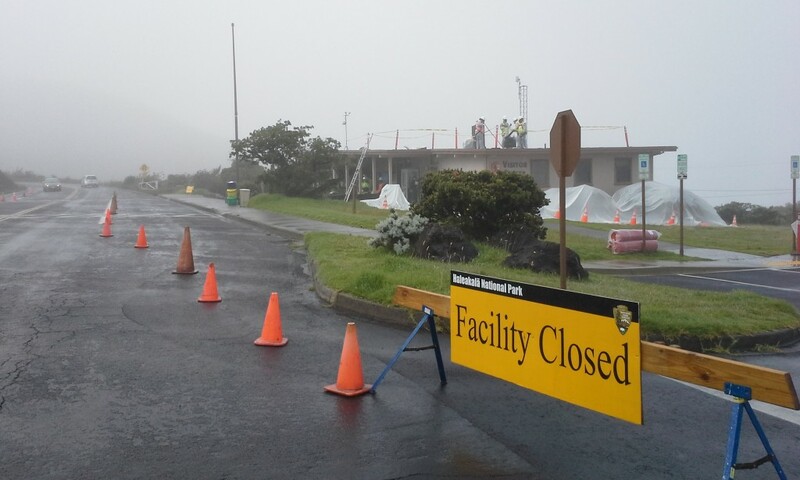 Park staff report that the cars block emergency vehicle access and damage park infrastructure, vegetation, and critical habitat for endangered species such as the Hawaiian petrel and Haleakalā silversword. 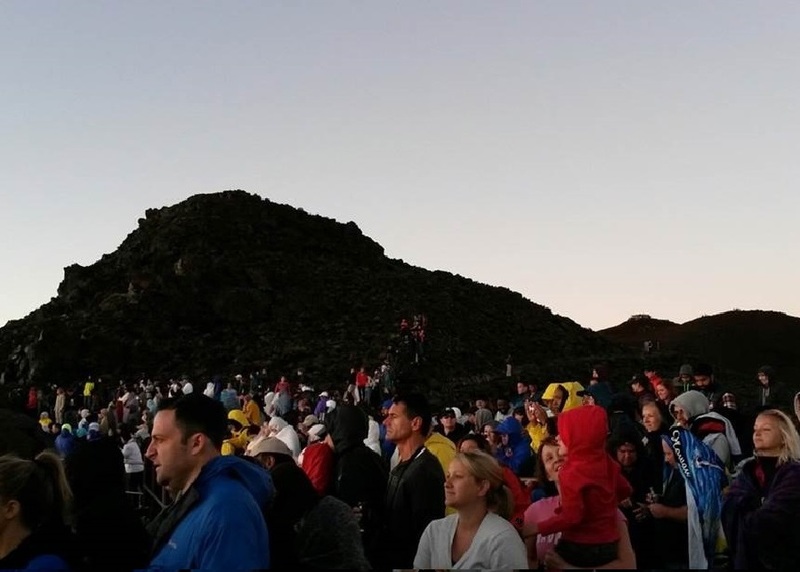 Crowds at sunrise viewpoints often number over 1,000. According to information provided by park staff, accidents have resulted from visitors moving off trail and climbing cliff sides in the dark. Cars block the traffic lane in the summit parking lot (10,023 feet of elevation). Sunrise crowds at the crater overlook by Haleakala Visitor Center (9,741 feet of elevation). 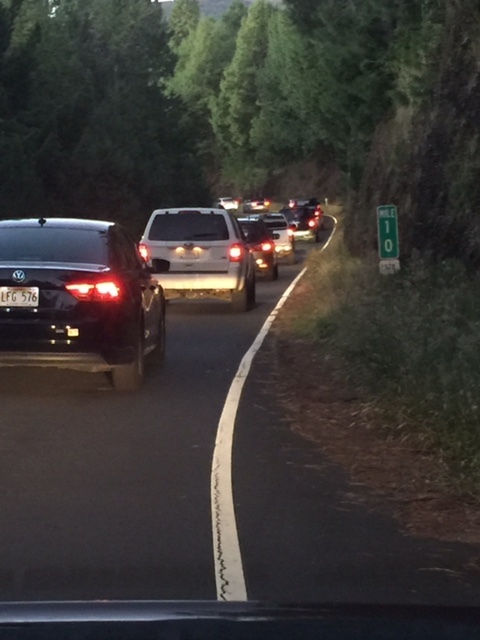 Traffic lines extend outside the park at Mile Marker ten along Crater Road. 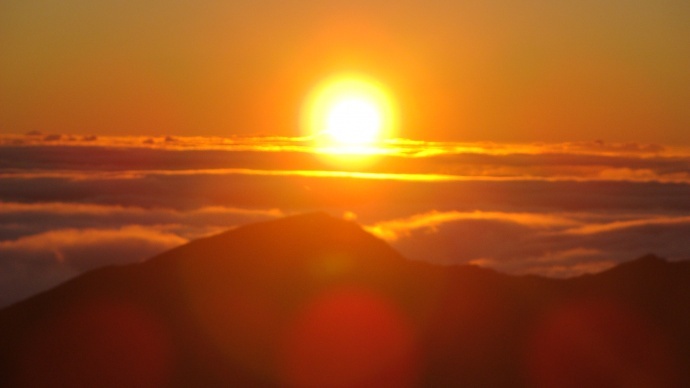 Sunrise at Haleakalā. Photo by Wendy Osher. 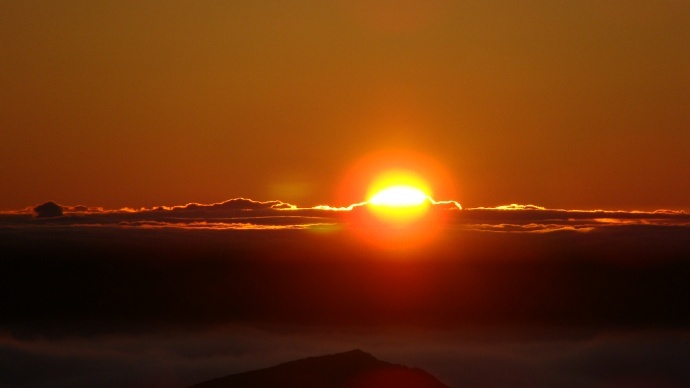 Haleakala sunrise, file photo by Wendy Osher.